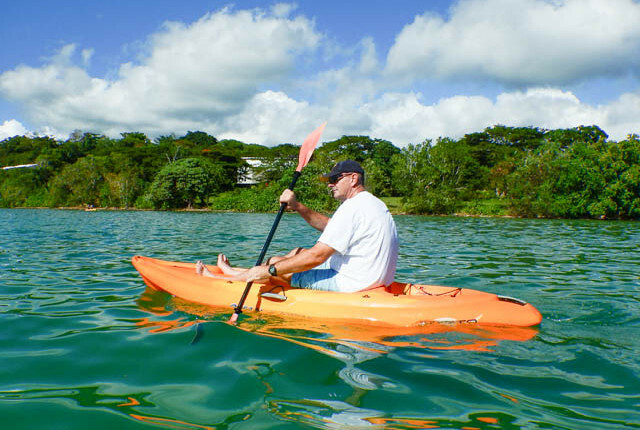 Paddle yourself around Port Vila Harbour. Choose from 3 self-guided routes or make up your own. 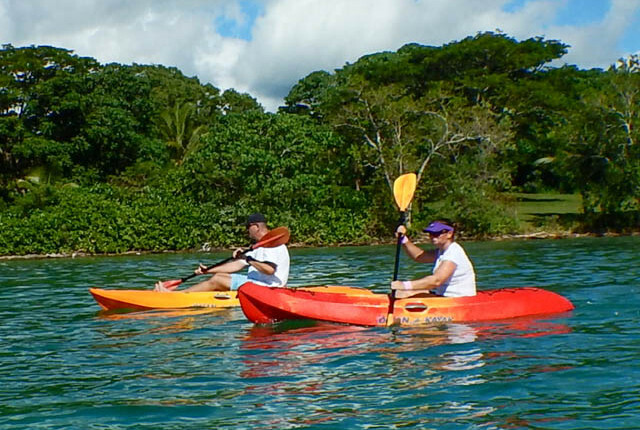 All our kayaks are stable ocean kayaks and you have the option of single kayak, double kayaks or stand up paddleboards. 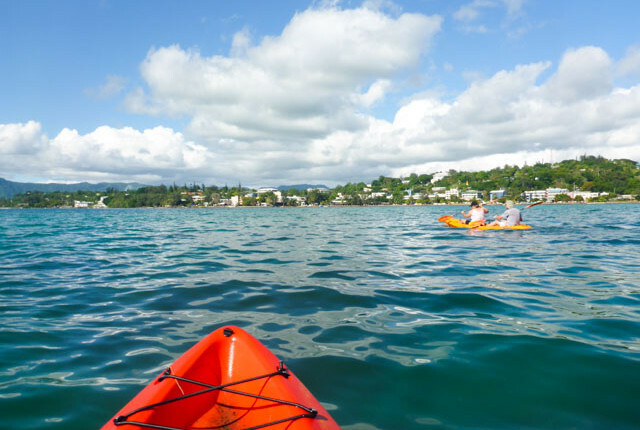 The self guided kayaking tour takes you on different routes around the harbour and you will be given a waterproof map with points of interest. You get quite a different perspective of Port Vila from the water different to when you walk through town in dry land! 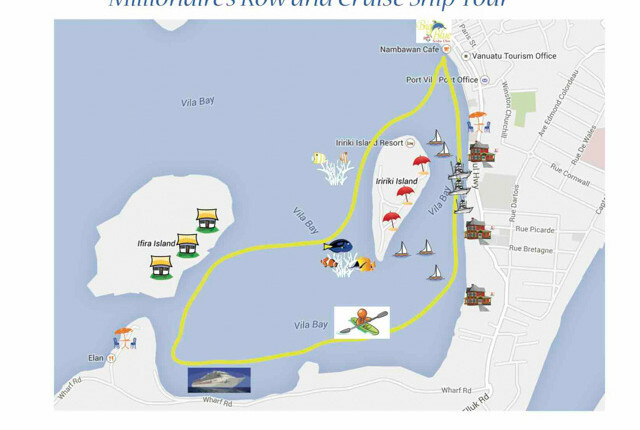 Take a trip along the seafront and have a look at the million dollar properties and yachts moored in the harbour. Paddle around Iririki Island and look out for the coral bommies and tropical fish in the shallows behind the island. Paddle out to the Cruise ship terminal and you will really get a sense of how big the ships are. Port Vila has many sea-side restaurants and bars with fabulous views over the water – see what they look like from the other side. The choice is yours. Clothes and shoes you don’t mind getting wet. (You can leave bags etc in the office). This tour is run by Big Blue, Port Vila’s number one dive company. This tour runs from Big Blue Scuba Diving, centrally located on the seawall in Port Vila, adjacent to the Nambawan Cafe and Vanuatu Helicopters Office.